TRANSPORT FOR LONDON has announced its intention to award the concession to operate Crossrail services to MTR Corporation (Crossrail) Limited. The £1.4 billion contract will be for eight years, with an option to extend to ten years. MTR operates the Hong Kong metro and is also a partner with DB on the present London Overground concession. 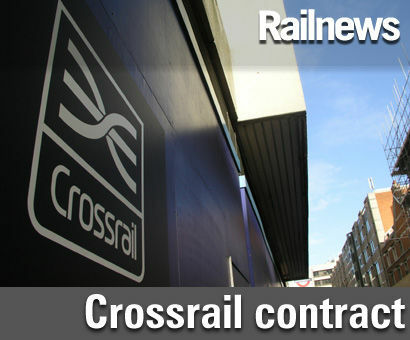 The operator is expected to employ around 1,100 staff for Crossrail, with up to 850 new posts. The jobs will will include almost 400 drivers and over 50 apprenticeships for people from communities along the route. TfL said Crossrail will be 'fully integrated' as part of the TfL network. Crossrail stations will be integrated with existing London Underground, DLR, London Overground and National Rail stations. London Underground and London Rail managing director Mike Brown said: “Appointing an operator is a huge step towards the new railway coming to London. The decision to appoint MTR was reached after a thorough and competitive procurement process and we look forward to working with them to transform rail services in the capital. Crossrail will help cut journey times, make it easier for people travelling across the city and create jobs and support growth and regeneration along the route. Transport secretary Patrick McLoughlin said: “This is great news for passengers across the capital and marks a significant milestone in the project. Crossrail will provide a better and faster service for millions of commuters and will help create up to 30,000 additional jobs in central London by 2026. MTR's chief executive officer Jay Walder added: “MTR and TfL are recognised as two of the world’s leading railway operators and we are delighted to have the opportunity to bring our worldwide capabilities, experience and knowhow to Crossrail, which is truly a 21st century railway for a 21st century London. Crossrail’s success will be finally realised through pioneering and sustaining a culture to deliver world class performance. We will work passionately, with TfL, to achieve this as we have in Hong Kong and our international operations, including the highly successful London Overground service." MTR will start running services from 31 May 2015 between Liverpool Street and Shenfield, taking over the stopping services currently operated by Abellio Greater Anglia and using the existing trains. New trains to be built by Bombardier at Derby will start to enter service from 2017. The route through Canary Wharf, the City and the West End is scheduled to open in late 2018, with the full service between Shenfield and Abbey Wood in the east to Heathrow Airport and Reading in the west set to start in late 2019.